Do You Suffer from Too Much Stim? Are You Unnerved by Too Much Stim? Take This Test to Find Out. Your dear friends invite you and another couple to a small dinner party. a. You can’t wait because you love being with good friends, and you enjoy eating great food. b. You look for an excuse not to go. c. You never received the invitation because you and your crowd are all forty-ish, and you don’t do dinner parties at home. When you entertain at home, you offer drinks, snacks, more drinks, more snacks, and dessert. 2. When you arrive at your friends’ home you hear the strains of music coming from their stereo or hi fi or whatever the heck we used to call that thing that plays (ahem) records. The music you hear is jazz. It is very loud jazz. b. Your upper lip starts going numb, which your doctor assured you is a sign of stress. c. You say, “Thanks, I’ll have a white wine,” while you’re still wearing your coat. a. The conversation flows; everyone (including you) is bright and witty. b. The conversation flows; everyone (but you) appears to be bright and witty. Question Three b and/or c.
I’m wondering if there is a connection between people who are introverts, phobics, nature lovers and compulsive over-thinkers. I belong to each of these tribes. Here’s a scenario to illustrate. I go to the park to exercise. Ha Ha, I lie. I go to the park, but not really to exercise. Mostly I go to the park to walk for a short time, and to sit down on a bench for a long time. 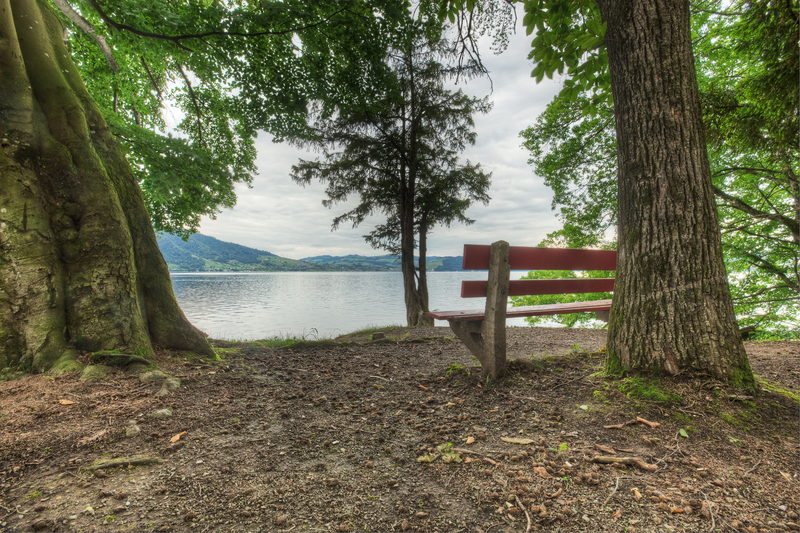 I choose a bench by the lake, where I can sit, look, listen, read, write, or just think. If I’m lucky I might be rewarded by the sight of a double-breasted cormorant swallowing a fish. That happened last year, and it was a glorious moment. On the first warm day this year, the snow has melted, and I decide it’s time to go back to my park. I take my perfunctory short walk, and I sit down on my favorite bench. Ah, spring is almost here. I fill my senses. I need solitude and nature like I need food, and this woman has killed it for me. I dream of making her dead. What would be the best way? I could throw her off a bridge, but that would be very difficult for me because I am afraid of things that are up high in the air, like bridges, and airplanes. Hmm. I’ll have to think that through. Perhaps I ought to make a plan to plan to plan. I’ve been planning this blog post for a long time, way too long. I wonder what two of my favorite authors would say. Scott Stossel wrote My Age of Anxiety…Fear, Hope, Dread and the Search for Peace of Mind. Susan Cain wrote Quiet…The Power of Introverts in a World That Can’t Stop Talking. I wonder if they have ever met? I hope so. I’m on my way to explore a blog I have just discovered when I searched for Stossel and Cain. It’s called “The Dedicated Amateur” and it is written by Amma Marfo. You can find her blog at: http://ammamarfo.com/. In the meantime, I will be worrying about something.